or even impossibility for many others. For example, 70 ml people in India cannot access the printed word. Not because of illiteracy but due to some disability or other--- like blindness, dyslexia, etc. When I spoke during the event I said something that's been with me for some time. Calling people mentally challenged or visually challenged-- things like that--- tends to separate them and dump them with insurmountable disadvantage. We are becoming so politically correct in so many things today that we are losing touch with human correctness. I noticed during the event that when the blind spoke, they called themselves "blind" while the sighted called them "visually challenged". I said, in that case we should have sugar-challenged (diabetics), size-challenged, etc. When we realise that we are ALL a blend of advantage and disadvantage, ability and disability, then we can see the vulnerability in others as easily as we see it in ourselves. I remember, exactly 20 years ago, I was "scribing" for a blind student in MCC, the college where I once studied and was at that time teaching for a year. I was writing the student's exam answers as he dictated. All at once, he stopped and said, "Sir, are you Shreekumar Varma?" Puzzled, I said yes. He told me he'd heard me speak during a programme I'd put together for All India Radio three months earlier, and now he recognised my voice! It was a revelation. The world that we cannot grasp is a bigger world than we think. 20 years later. 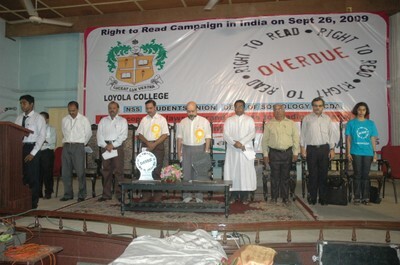 Here I was at Loyola, kicking off a campaign. Well, I also promised them I'd do everything I could to drive the message home. And I am--- on Facebook, Twitter and "word of mouth". Soon after that day, I contacted my editor at Harper Collins and brought her and Ms. Nirmita Narasimhan of CIS (centre for internet & society) together. 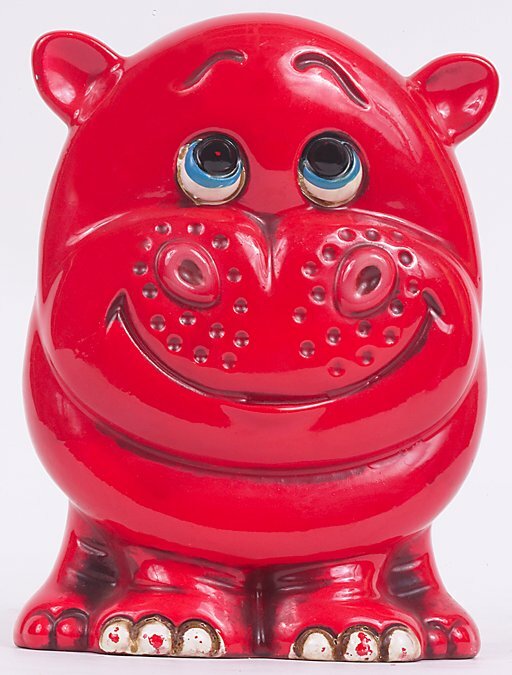 The Copyright Act, unchanged since it was born (two years after me! ), still makes it illegal to transform printed works into convenient forms for the disabled. I hope my Maria's Room will be read by many who can't read other books. We are still exploring ways of accomplishing this. The novel will be out in November this year, and will be a source of great satisfaction to me: the cover design is my son's, and everyone would have the option to read it. 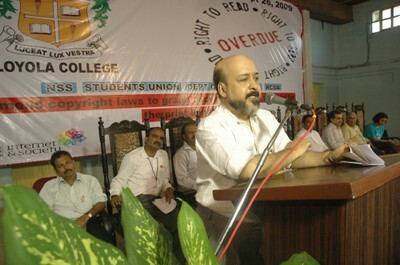 This was the first major event with respect to the Right to Read campaign. 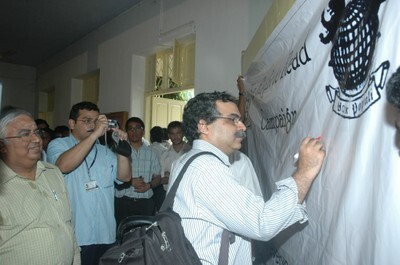 A wide range of dignitaries were invited for the launch. 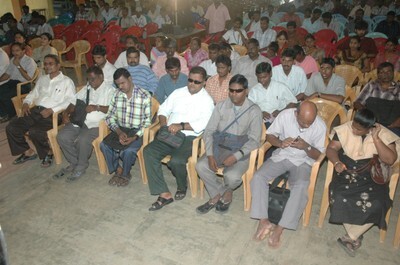 The audience included students, social activists and visually challenged people. 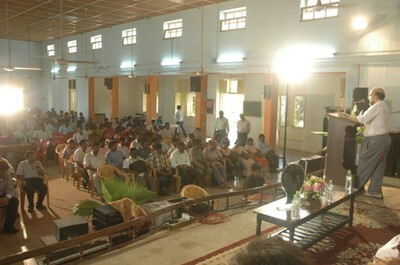 About 4oo students from 100 colleges around Chennai and 150 NSS volunteers attended from outside and an almost equal number of students participated from within Loyola College to make this a very large gathering of almost 800-1000 persons. The event was organized by the students of Department of Sociology at Loyola College, Chennai in collaboration with the campaign managers. The Chief Guest of the event was Mr. Shree Kumar Varma, a well known writer, social activist and a professor of creative English and English literature. He spoke about the issue faced by print impaired persons and how apprehensive people are about sharing books in accessible formats as it is a legal infringement. He appreciated the fact that people have recognized the need for attention to this issue. He observed that Loyola College was the most appropriate venue for this event since students are proactively engaged with social issues. He promised to take initiatives and spread awareness about the campaign and expected the same from others. Other dignitaries who honored the event were Dr. N. Raja Hussain, Program coordinator, NSS, University of Madras; Mr. Dipendra Manocha, Member, Executive Council, World Blind Union and President, Daisy Forum of India; Mr. Chandrasekar, Treasurer, National Association for the Blind; Ms. Nirmita Narasimhan, Programme Manager, CIS and Mr. Rahul Cherian, Policy Head, Inclusive Planet. 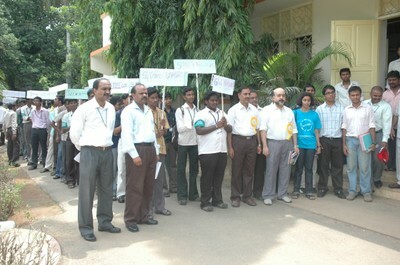 They spoke about the need for the amendment and importance of spreading awareness about this burning issue. In her introduction to the campaign, Nirmita explained that it was not a question of just making the books available in particular formats. If people can read books, it will help literacy, education, employment and promote independent living. A majority of the visually impaired population don't pursue courses because they don't have study materials in accessible formats. This is substantiated by looking at the statistics of Delhi University - they have about 1,500 seats reserved for the handicapped. Despite that, in 2008, only 270 students applied and in 2009, only 350 applied. This just goes to show that in addition to making reservations, it is also necessary to provide an enabling reading framework to persons with disabilities by providing materials in accessible formats and a good support system. This statistics served as an eye opener to the audience.